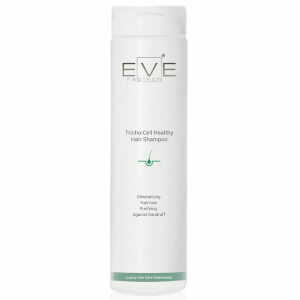 Give dull, limp and weak hair a boost with the Eve Rebirth Tricho-Cell Healthy Hair Shampoo; an advanced treatment that combats hair loss, frizz and tangles for a soft, smooth finish. Blending together active ingredients and plant stem cells, the Trichological Complex penetrates the hair follicle to effectively slow down the ageing process, with extract of Ginseng helping stimulate microcirculation for healthier looking regrowth. The gentle yet powerful formula removes dirt and impurities without stripping away essential moisture, instead working to fortify each strand from the core for improved density and thickness. 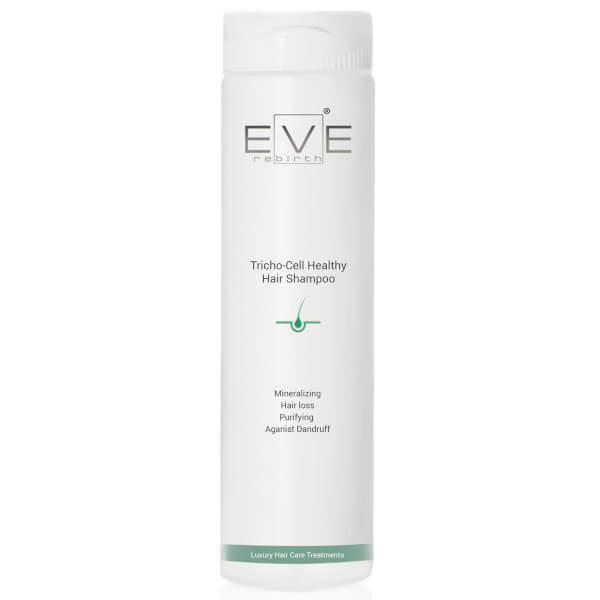 Designed to be used alongside the Trico-Cell hair loss treatment line, the shampoo leaves locks feeling stronger and revitalised with a radiant shine. Apply a dab of product onto wet hair, leave for few minutes, massage and rinse.